Owned and operated by Raymond Valois since 2000. Raymond's career as a carpenter began almost two decades ago after being in the world of advertising photography for almost ten years. He started off by doing handyman jobs that naturally evolved into more complex remodeling jobs. It became apparent that Ray’s creative side set him apart from other contractors as clients asked for more complex projects such as built-ins and other woodworking projects. He soon learned that his attention to detail and creative eye for the architectural esthetics of his client’s homes helped bring a unique perspective to his projects. 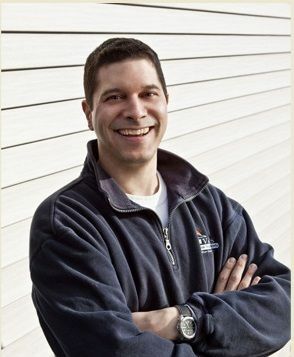 Raymond’s passion for his craft is evident in all that he does from small projects to the fine finish carpentry and remodeling projects that have kept the satisfaction and loyalty of his clients for many years now. Raymond lives in Shrewsbury Massachusetts with his wife and two kids. When he’s not making area homes more beautiful, you will probably find him golfing, riding his mountain bike or having fun with his family & friends.